Nick Marsh explains why, of all the mistakes and problems he has encountered throughout his career as a vet, it’s the first time his actions resulted in loss of life that still keeps him awake at night. Staff retention: double or quits? In the wake of an announcement by the University of Nottingham School of Veterinary Medicine and Science to adopt a dual intake initiative with its undergraduates, Jordan Sinclair questions whether this will help or hinder the recruitment crisis, and how the problem is multi-faceted. The first cut isn’t the deepest, it is the most superficial, says Nick Marsh on why he misses performing surgical cases. Why am I a farm vet? Instead of fielding answers in response to ”why did you want to be a vet?”, Ami Sawran explains why working on a farm is her true calling. Nick Marsh reflects on the stressful times he experienced while working in practice and the toll it can take on your well-being. Jordan Sinclair shares a difficult experience with a particularly infuriating client who refused to take no for an answer. Ami Sawran discusses her experiences of dealing with farm clients who keep traditionally food-producing animals as pets, and how to navigate certain issues. Nick Marsh reflects on a recent visit to a mechanic as a means of understanding how his clients feel in their similarly stressed and uncomfortable situation. Vet school teaches you a lot of important things in preparation for the job. 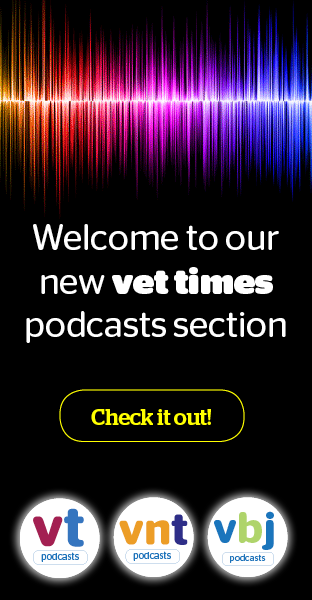 But being an independent vet in the wide world can be tricky, so Ami Sawran is on hand to provide some helpful life hacks. Many soon-to-graduate vets will already be on the lookout for a job, so Jordan Sinclair has advice on how practices can attract this valuable asset. "Wildlife aren’t pets – they’re soldiers," argues Nick Marsh, stating that wildlife medicine – like most other areas of medicine – needs to be "brutally pragmatic". Ami Sawran discusses why well-being is more than just another buzzword, and ways practices can make employees feel happier and more relaxed in the workplace. Spoiler: it’s not all about cake. OOH providers: a godsend or a nightmare? Jordan Sinclair weighs up the pros and cons of using out-of-hours providers, and whether they are a positive to the profession. Nick Marsh describes a scenario likely experienced by most vets, of feeling you don’t belong in the position you’re in and being out of your depth. Stuck on your own driving hours to jobs every day? Ami Sawran suggests a few ways to make the time fly by, from podcasts to audiobooks. Jordan Sinclair ponders on the naming conventions people use for their pets and what the animals would think about their given names, if they really understood. Nick Marsh highlights some of the issues vets face with the rise of crossbreeds – some of whom suffer in life – and why we should treat our "best friends" like they treat us. Ami Sawran discusses what farm vets can do to battle the “fake news” and anti-agriculture propaganda that circles online – especially at this time of year. While Christmas is usually a time for joy and family gatherings, Jordan Sinclair brings attention to the inevitable increase in euthanasias that often occur at the end of the year. Nick Marsh asks those at home to spare a moment in between party games and binge-watching TV series’ to consider those brave souls in practice trying to help other people through a difficult Christmas.